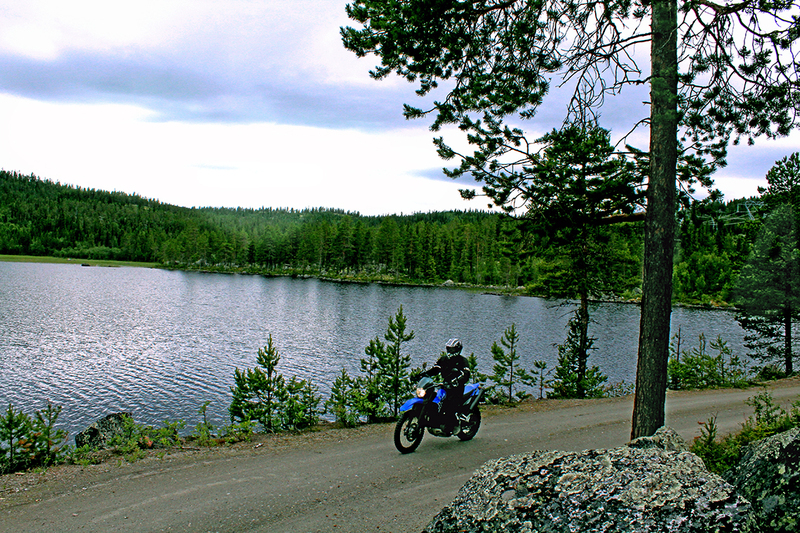 Would you like to ride a motorcycle in a varied countryside with beautiful views and gravel roads? Then this is the perfect holiday package for you. 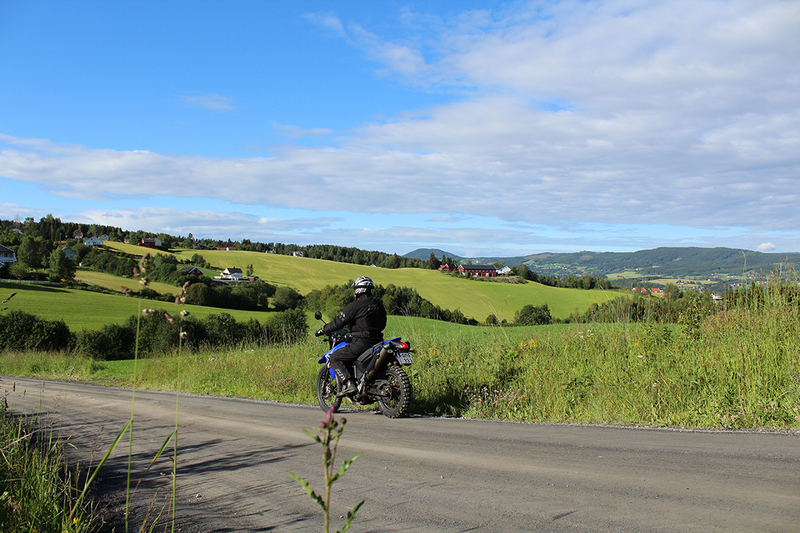 We ride through different types of landscape where we pass some of the most beautiful places in Scandinavia and can take the many chances for a photo stop. From the forests, fields and lakes of Småland, through the large pine forests in the middle of Sweden, past rivers and up to the fantastic fjords of central Norway where cliffs go right into the fjords and waterfalls cascade 200 meters. Fantastic Scandinavia! 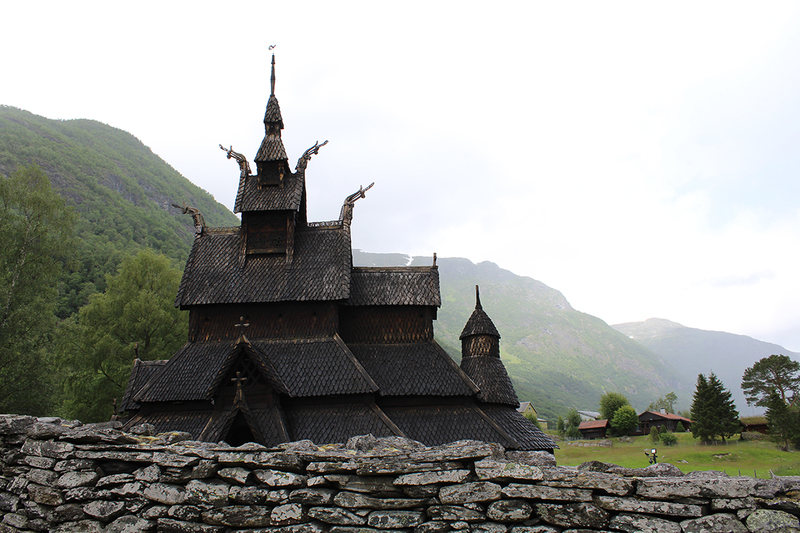 Norway, approximately 25% is on unpaved roads. The tarmac roads we use are often small and windy. The gravel roads are easy to ride on and are normal traffic roads. We promise you that you will have a fantastic motorcycle experience, with good service, good food and great motorcycle riding. The trip starts in the south of Sweden and finishes in Oslo. You fly to Copenhagen where we meet you and the route finishes in Oslo where you can fly away from. We pick you up on arrival and take care of your trip while you ride. Our guide rides with you on a motorcycle and our service car with mechanic takes your luggage and a reserve MC. The hotels we stay in are comfortable middle class hotels. One night we stay in a pension in a small village. You will experience a countryside largely untouched or spoiled by humans. 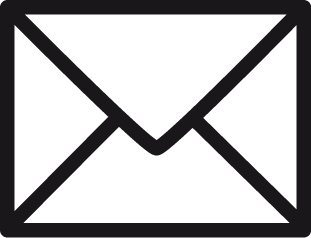 We will do everything to ensure you have a fantastic motorcycle experience with us. 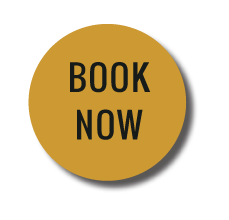 We pick you up at the airport and take you to our hotel in Halmstad where we have arranged dinner for everyone and give more information about the tour. We start on the Island of Bolmsö and ride north on gravel roads towards Sweden’s second biggest lake Vättern. The road to Vättern takes us over both windy and straight gravel roads but they are quite fast and easy to ride. Towards the end of the day when we approach Jönköping there are more asphalt roads but quite a few curves and hills because of the rolling landscape. We stay by the beautiful lake Vättern. We continue north with a view over lake Vättern with the island Visingsö in the middle of it. We then ride through a national park, Omberg. From the beginning the road takes us through open and flat farm land, with the exception of Omberg, which is a forested little hill in the middle of the plain that has good sealed roads. At the end of the day we drive through large forests on wide and fast gravel roads that are a lot of fun to ride on. We stay the night in the town of Karlskoga where the founder of the Nobel prize comes from. After Karlskoga the first bit of the road is windy asphalt but later the landscape becomes more of a hilly wilderness where hardly anyone lives. The villages are small and there can be 20 km between them. Here there are mainly forests, mountains and good gravel roads rolling through the landscape with beautiful views of lakes lying in the valleys. On the last part of the day we follow the river Klarälven to Sysslebäck where we spend the night. In the morning we cross a bridge over to the other side of the river and continue over the border into Norway. At first there are gravel roads but at the boarder there are asphalt roads and then a mix of sealed and unsealed roads as we ride through pine forests with many lakes and rivers. At the end of the day we ride beside river Lågen with a great view of the river valley, at times riding up or down the valley wall on zig zag roads. After approx. 5 hours we arrive in Lillehammer for the night. After breakfast we head north along Gudbrandsdalen and Romsdalen towards Ådalsnes. The scenery becomes more and more spectacular the closer to the ocean we get. 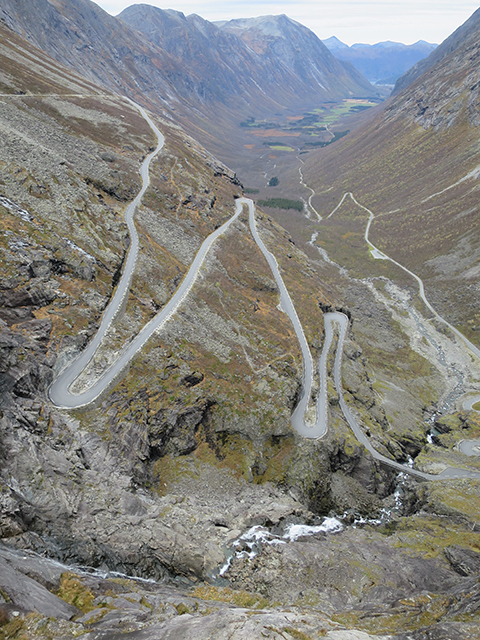 We now head towards TROLLSTIGEN (the trolls ladder, Scandinavians most famous road) and start the ascent. Quite soon we are up at an altitude of 700 meters and have a fantastic view back down Trollstigen. 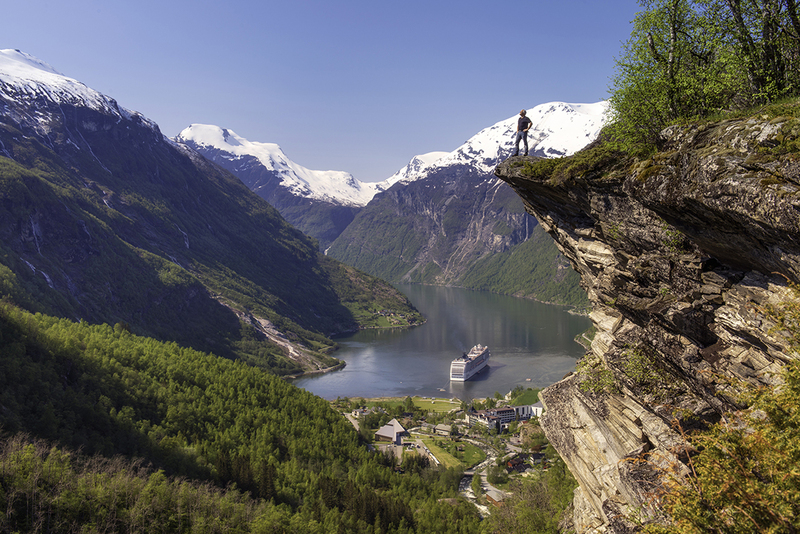 We continue through the mountainous landscape high over the tree line before arriving at Eagles bend by Geiranger fjord, one of the most beautiful places in Norway, maybe in the whole world with its vertical mountainside cliffs going right into the fiord. 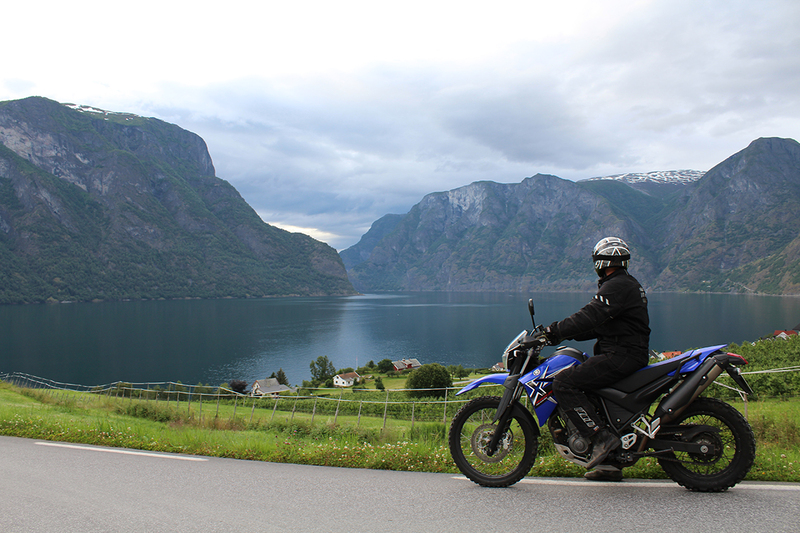 We descend from an altitude of 600 meters down the zigzag mountain road to Geiranger where we stay the night. Now we are in “fjord land” and will for a few days enjoy the earths beautiful creations where narrow fjords meet mountains, now we can really talk about altitude differences. We continue to follow the fiord by the water’s edge but eventually drive up to an altitude of 1000 meters. 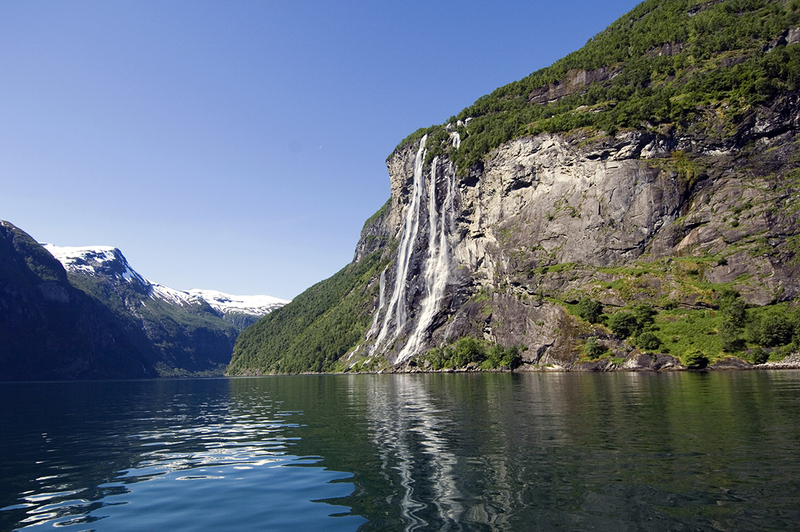 We spend the night in Balestrand in Sognefjorden, which is the world’s second longest fjord. Balestrand- Ål After breakfast we take the ferry over the fjord to Hella and then follow Sognefjordens beautiful shore past small villages and orchards. We eventually arrive in Flåm which boasts one of the world’s steepest railways, a quaint little port where cruise ships usually stop. Our route takes us up in the mountains to an altitude of 1000 meters. When we arrive in Ål our ride is finished. This is the last day and reason for some extra fun. We will have quite a lot of gravel roads from the mountains and down to Oslo where it is flat. We ride on fun roads with a lot of variety. There will be mountain roads, roads by rivers, by small lakes, in forests, straight roads, windy roads and roads through open landscape. We stay in Oslo for the farewell party. After breakfast we will drop you off at the airport. Price 4050 EUR /rider. 2650 EUR for riding in support vehicle. Single supplement 300 EUR.